One of the signs, to me, that my health is improving, is that I can find the spoons to do my nails a bit more frequently. 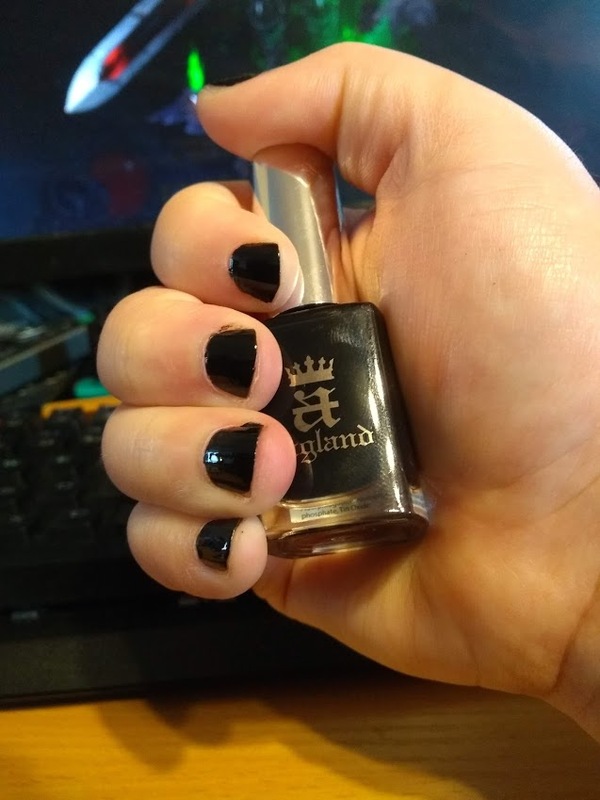 It also helps that I am utterly in love with this black. It’s super-shiny, and I even managed to buff scratches out of a thumbnail that I accidentally texturised while it was drying. That’s been the most exciting thing of the day, heh. But that’s fine! Monday is my day of rest, and I can probably take that as a sign I did the resting thing right.